The past few weeks have been pretty intense but exciting as well. From 5th June to 14th July, we completed over seven rigorous weeks of trainings across two GUSO districts; Mayuge and Bugiri, and the training took place at YMCA Training and Conference Center in Jinja. In this period of time, we trained over 352 peer educators imparting them with the knowledge to be able to support other peer educators and young people when it comes to mobilizing and disseminating SRHR and HIV information in their communities – all of this has been going on under the GUSO Flexibility Fund on behalf of the SRHR Alliance. The compounding problem above is one of GUSO’s reasons for existence and ours for empowering these young champions. Our team of highly experienced professional trainers did their best to impart the peer educators with comprehensive SRHR and HIV knowledge and skills, so they are able to better push the desired change. Some of the topics tackled during the trainings included; Health promotion, HIV/AIDs and stigma, STIs and HIV, Behavior Change Communication, sexuality, group dynamics and community mobilization, Meaningful Youth Participation (MYP), gender equality and Gender Based Violence, among others. 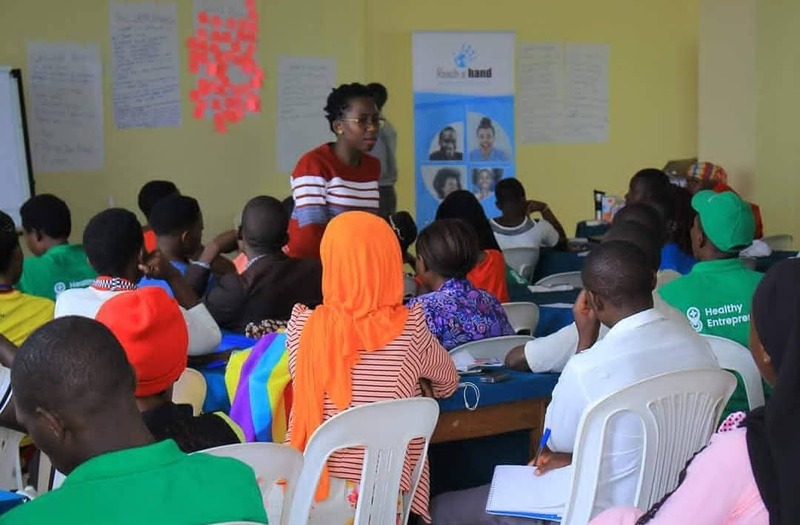 RAHU, in the SRHR Alliance in Uganda, and other partners (FLEP, CEHURD, UNYPA, RD, STF, NAFOPHANU, and RHU) envision a society where all young people have equal rights and access to SRHR information and services to enable them to make healthy and informed choices/decisions. In the long run, the SRHR Alliance seeks to enhance access to SRHR services for the young people and marginalized groups through the use of integrated evidence driven SRHR approaches and methodology, as well as lobbying the Government for inclusive and evidence based policies that create an environment that facilitates access to quality SRHR services. In the end, we were able empower the peer educators and health entrepreneurs with better methods to create awareness towards SRH and HIV, and how to invoke young people to reflect on their own SRH situations, prospects and challenges. We succeeded in instilling information on how to equip young people in and out of school with knowledge and skills on how to live responsible lives in regards to their sexual reproductive health. Next Story Shooting The Silence On Reproductive Health Challenges; What’s Got To Be Done?